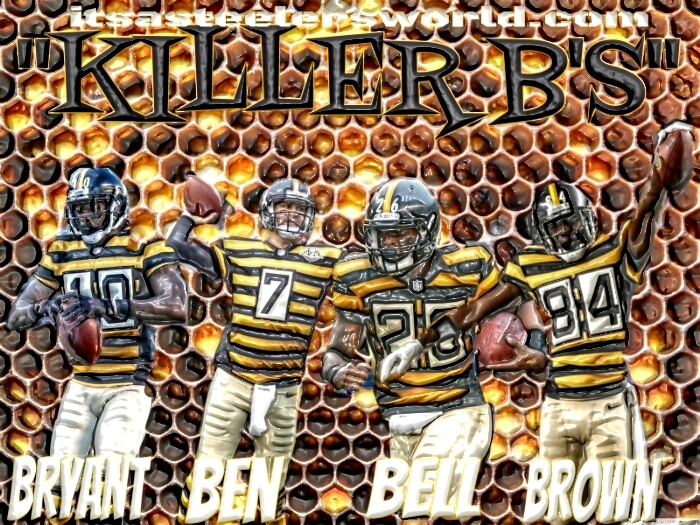 THE KILLER B’S: Bryant, Ben, Bell and Brown | "IT'S A STEELERS WORLD"! This photo was created and is dedicated to the most dangerous foursome in the National Football League. Antonio Brown, Ben Roethlisberger, Le’Veon Bell and Martavis Bryant.. “THE KILLER B’S”! Already been done. Have you seen it?